Even for those who don’t have sensitive ears, flying can be exhausting. With constant background noise and changes in air pressure during takeoff and landing, your ears need the right kind of protection. Alpine FlyFit reusable earplugs have a special acoustic filter that reduces ambient noise during travel by plane, train, or automobile. These earplugs also work to regulate eardrum pressure during landings and takeoffs, allowing you to relax even on long flights and arrive at your destination feeling rested and refreshed. FlyFit earplugs are also the perfect travel accessory for sleeping in hotels and other unfamiliar travel accommodations. Alpine FlyFit reusable earplugs are made with a uniquely soft, durable plastic that is highly flexible and softer than silicone-based plugs. Your body heat molds them into the shape of your ear canal within minutes of insertion, for the ultimate in comfort. You can also adjust the sealing lamellas for a precise, snug fit. 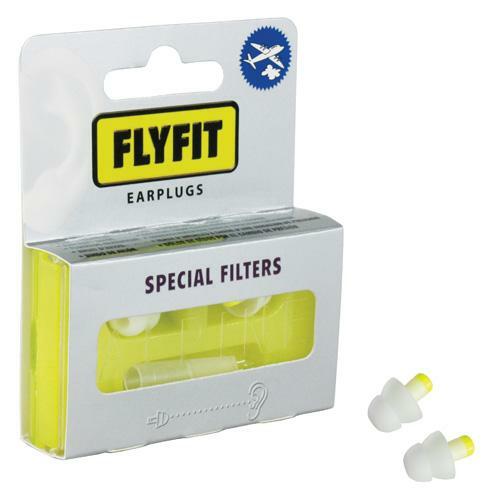 To clean your FlyFit earplugs, gently wash them with mild soap and lukewarm water. Regular cleaning will extend the life of your reusable earplugs, no matter how frequently you use them!